- aspetti relativi al prodotto o al processo, cioè ai metodi, agli ambienti, alle risorse. 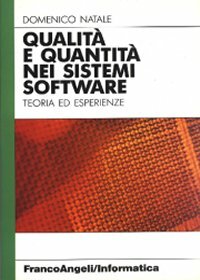 I Function Point, che sono una misura diretta della quantità, favoriscono la manutenibilità del software. Inoltre una precisa quantificazione delle dimensioni consente la prevedibilità di un sistema software; una buona prevedibilità, a sua volta, è un buon indicatore anche degli altri aspetti di qualità. L'usabilità è un aspetto misurabile direttamente sul prodotto ed è connessa con la qualità esterna del sistema. La trasparenza è garantita dalla attività di certificazione da parte di terzi, nel rispetto di regole di qualità valide in campo internazionale (certificazione ISO). Il fattore dell'eccellenza è misurabile indirettamente con indagini esterne di Customer Satisfaction e con valutazioni a seguito di attività di assessment come il CMM (Capability Maturity Model), l'EFQM (European Foundation for Quality Management), SPICE (Software Process Improvement and Capability dEtermination). L'eccellenza è un indicatore che indirettamente va a sintetizzare tutte le altre caratteristiche: una buona qualità del prodotto, del processo e del servizio. The information-technology field is still characterized by a limited number of written works in languages other than English. This is understandable considering the fact that "computers" came the world scene only about fifty years ago. Software is definitely a young and rapidly changing product of man's imagination and is already extremely pervasive in comparison to older disciplines and products (p. 11). This publication is oriented to the possible quantification of quality in different aspects: from internal and external points of view, that is to say from the producers perspective and from the users perspective (the service). The measuring activity in the software field was explicitly connected to Basili (University of Maryland). He believes that it is necessary to fix goals and to question what you want to achieve. The Goal-Question-Metric (GQM) paradigm is founded on the idea that the identification of any metric depends on the viewpoint, the goals that have been set, the questions that have been asked - and the answers - in order to clear up the aspects under consideration through recourse to special checklists (p. 22). The software quality subject is too broad to be considered from a single point of view and is also too abstract to be measured directly. Software quality depends on the context in which it is evaluated. Therefore, we should proceed by singling out those quality factors that proved essential on the basis of experience. In doing so, one ought to keep in mind two different points of view (both the inner and the outer aspects of the software system) with respect to product and process. Product and process are the major objects taken into consideration. Product and process are perceived as two separate domains to be investigated. The domain of the "product" and the domain of the "non-product". The "non-product" domain comprises process, personnel, resources and physical environment. The term process is used in this broader perspective. The distinction between "inner" and "outer" quality and between "product" and "non-product" is suggested because of its simplicity - notwithstanding its continuous evolution and improvement - as a reference basis for metric inquiries into the quality of software. Far from being another standard proposal, this could be considered a synthesis of the major observations made in many development and research environments. As a further distinction, one should, preferably bear in mind the characteristic of observation of the phenomena that may be either direct or indirect. It is direct when the measuring activity relates to an aspect of either the product or the process. It is indirect when it may be correlated to both of them. A direct observation permits us to measure product and process in some of their perceptible forms. An indirect observation provides measures, shared by product and process, that give an indirect indication of the quality level. For instance, limited development and maintenance time is an indicator of a "good product" and a "good process", but it is also an indicator of a high quality level both in general terms and, particularly, in terms of costs. As measurement evolves over time, the focus of attention moves from product to process, from direct to indirect observations, from production to service aspects. Coming back to quality, it is assumed that a definition of quality may be implicitly given by listing the major factors that make it up.  The terms in bold type are described in the ISO/IEC 9126 standard.